In October, 2016 Cook County, Ill. passed a mandatory paid sick leave law and minimum wage increase. The new law requires time tracking for all employees and provides up to 5 days of paid sick leave. Additionally, starting on July 1, 2017, the minimum wage goes up from $8.25 to $10.00 an hour with additional increases over the next few years. However, many of the counties townships and cities have had major objections to the county-wide employment regulations. A clause in the Illinois constitution allows cities to opt out of certain county laws. Barrington, Oak Forest, Rosemont, Mount Prospect, and Belford Park were among the first villages and townships to opt out of the ordinance. Tinley Park followed shortly thereafter. The month of March introduced new opt outs from townships across Cook County. 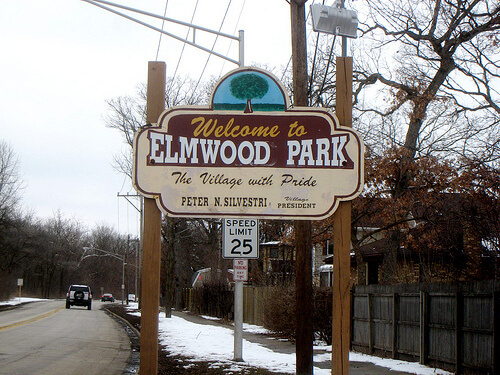 Then, on March 20th Elmwood Park also opted out of the county sick leave and minimum wage ordinance. They opted instead to follow state law and minimum wage. Lastly, Schaumburg officials opted out of Cook County Sick Leave just before the month ended. One of the main reasons for the decision is to make a statement that they are looking for a strong playing field. Officials feel that if sick leave or minimum wage laws are to be changed, it must come from the state level. Like other cities that straddle or skirt county borders, leaders are concerned that the new laws put businesses in the Cook County side at a disadvantage to their counterparts in other counties. Businesses just across county borders don’t have to shoulder the additional cost of the administrative duties caused by the sick leave laws, or the increase in employee payroll. When a business has to raise prices, but across the street, in a different county, its competitor doesn’t, that hurts business. More villages are looking at solutions to the issue. Elk Grove is looking at a different solution. Instead of opting out of the county’s ordinance, officials are looking at creating their own sick leave plan with a different minimum wage schedule. The Mayor, Craig Johnson feels that the village should not be having to look at these changes. He feels those laws should come down from the state level. “The State has shirked its duty.. . . I hope the county ordinances are found illegal so we can go back to following the state law” Johnson said. Elk Grove is looking at a meeting in April to decide the outcome, opt out of the ordinance, or pass one of their own. Even so, at least one village, La Gange, has chosen not to opt out of the ordinance. Arlington has delayed the vote to opt out until May 1 so that officials can get more feedback from residents. Although officials could change their minds, they have currently decided to table to discussion around opting out. Streamwood is also looking at opting out in April. Des Plaines is considering it as well in April or May. Northbrook has announced that city officials are also considering opting out. Villages and Townships have until July 1 to opt out of the county ordinance. They can choose to opt out of either sick leave, minimum wage, or both. Or, like Elk Grove, they can choose to adopt their own plans. Meanwhile, as the saga in Cook County continues, other counties like Westchester, NY consider a sick leave ordinance.